Corravahan House & Gardens | Welcome! Corravahan House is a substantial early nineteenth-century classical house, built in the Georgian style c 1840 by Rev. Marcus Gervais Beresford. It replaced the eighteenth-century parsonage at Drung and was used as a rectory until 1870, by which time it had been sold to the Reverend (later Bishop) Charles Leslie, a cousin of the Leslies of Glaslough. The Leslies lived at Corravahan until 1972. After their departure the house was only occupied occasionally, until purchased by the Elliott family in 2003. The Elliotts have carried out a sympathetic programme of repair and conservation which is now nearing completion, while the restoration of the eighteenth- and nineteenth-century gardens is continuing. Corravahan House is open to visitors, on published dates, for a small fee. Due to the ongoing restoration of the house and gardens, it is advisable to contact us in advance of your visit on 087 9772224. We look forward to meeting you! 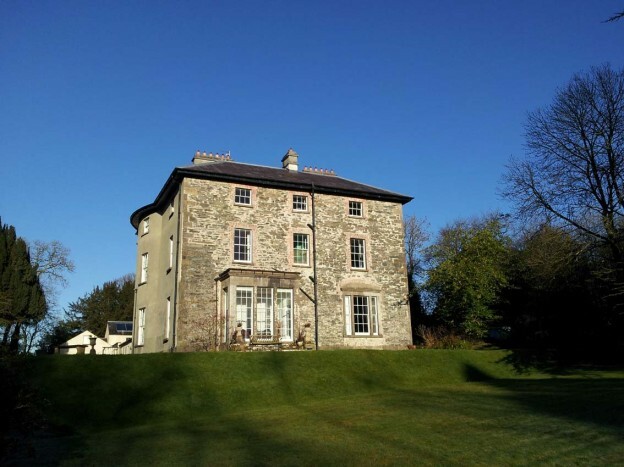 a: Corravahan House & Gardens, Drung, Ballyhaise, Co. Cavan, H12 D860. Corravahan House is located off the R188, Cavan-Cootehill road, approximately 10km from Cavan Town. My name is diane mcentee and i am from bunnoe. I am getting married 19 june 2015 and i was looking for grounds to take some nice pictures, and i was told about your house and its lovely grounds. I was wondering would you be open on the 15 june 2015, and do you allow wedding pictures to be taken on your grounds. Just been to Corravahan House for a tour. Beautiful place with such a lovely atmosphere. Fabulously restored.